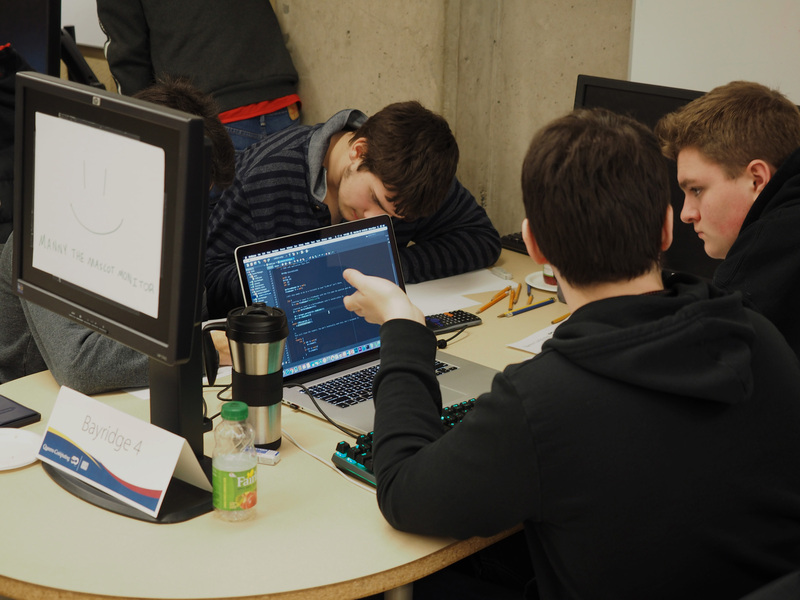 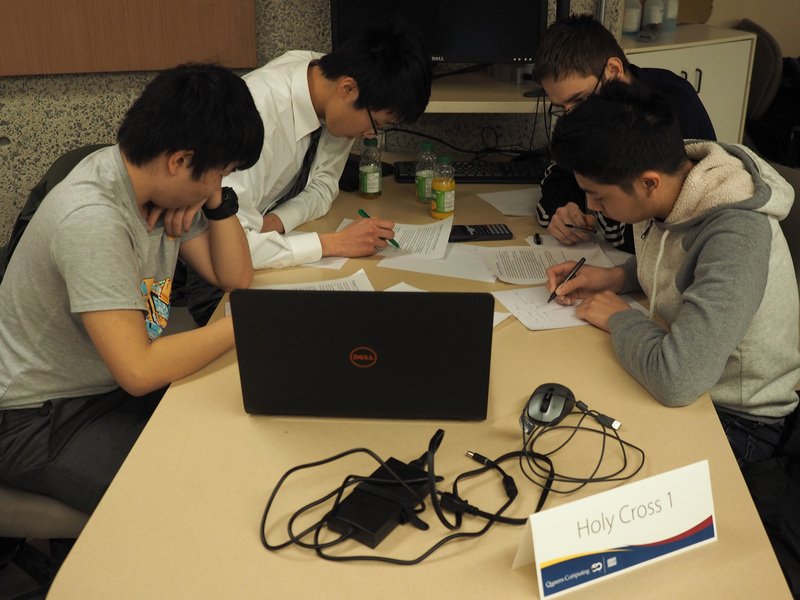 The School of Computing played host to our 9th Annual Invitational High School Programming Contest. 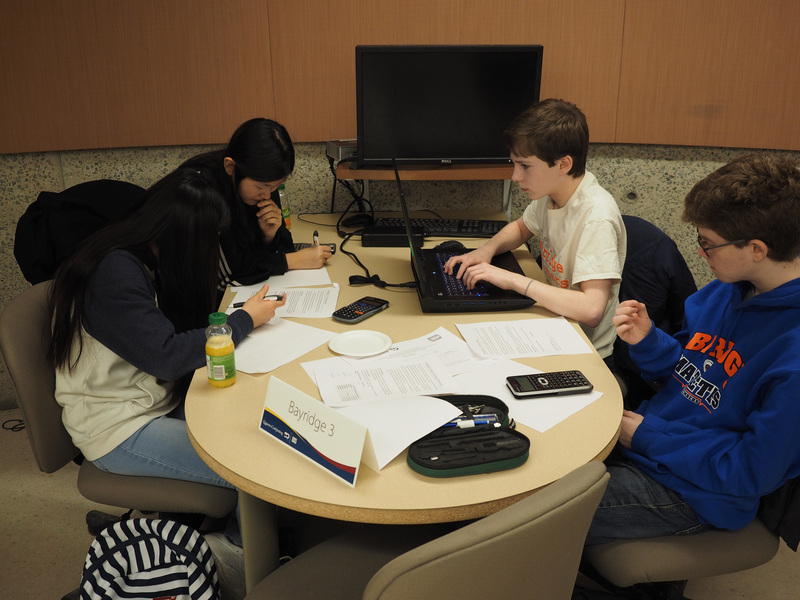 This “Round 1” contest, run in cooperation with the Educational Computing Organization of Ontario, is a feeder competition for the much larger Eastern Regional contest that we’ll be hosting next month. 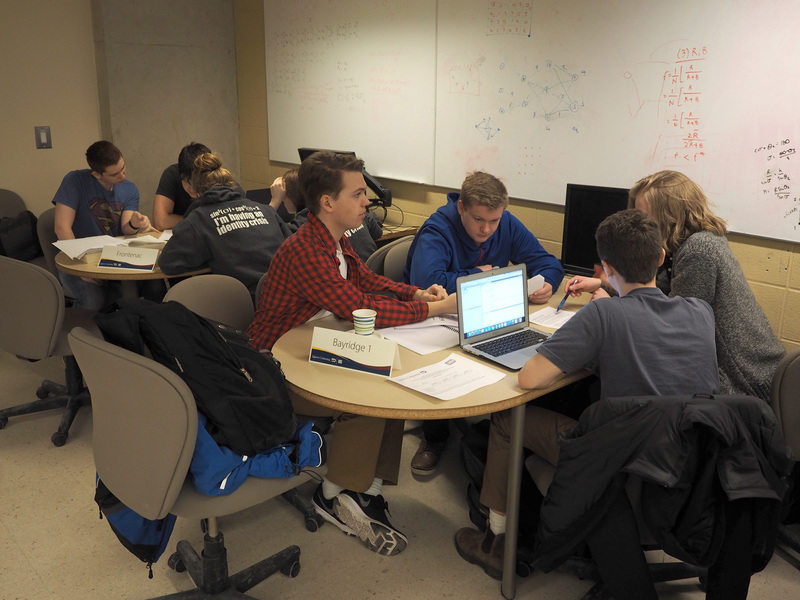 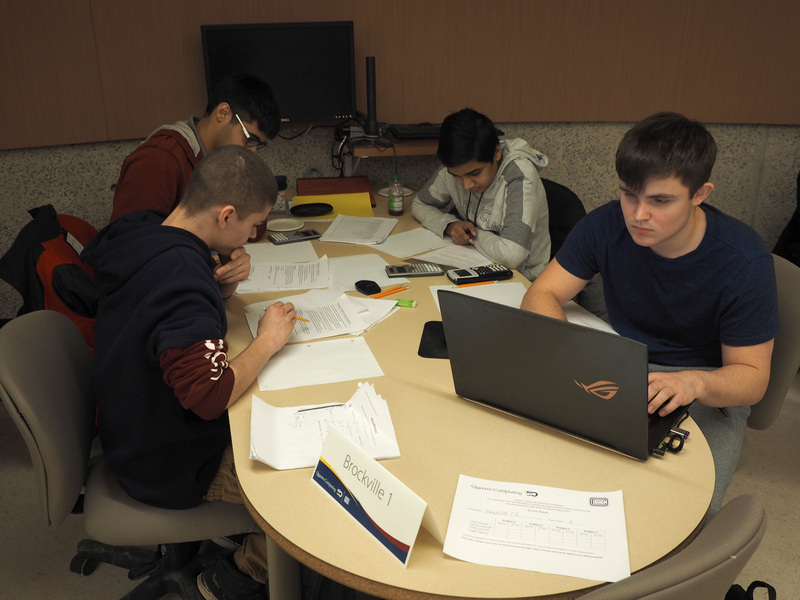 In this meet, 12 teams of four students from five area schools attempted to solve four programming problems in three hours. 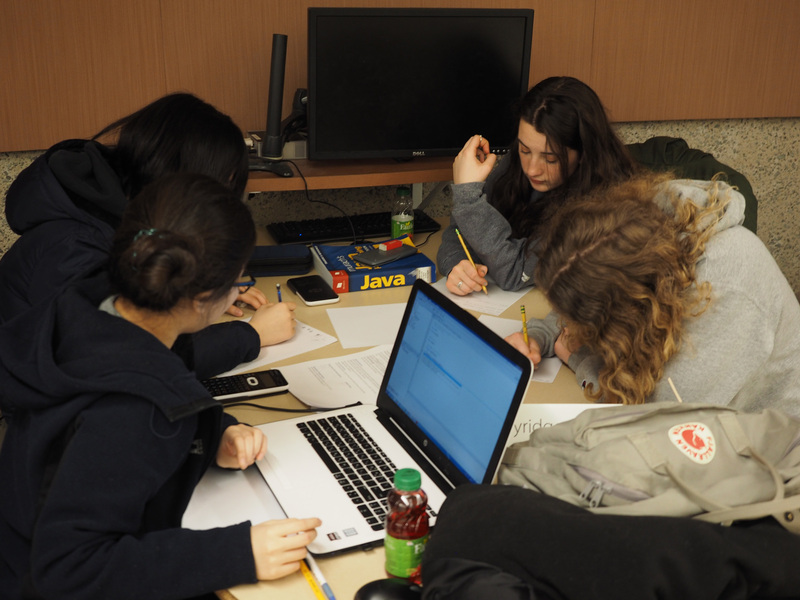 Two of the teams in the competition comprised of all girls, resulting in more female participation, which the School is a proud champion of. 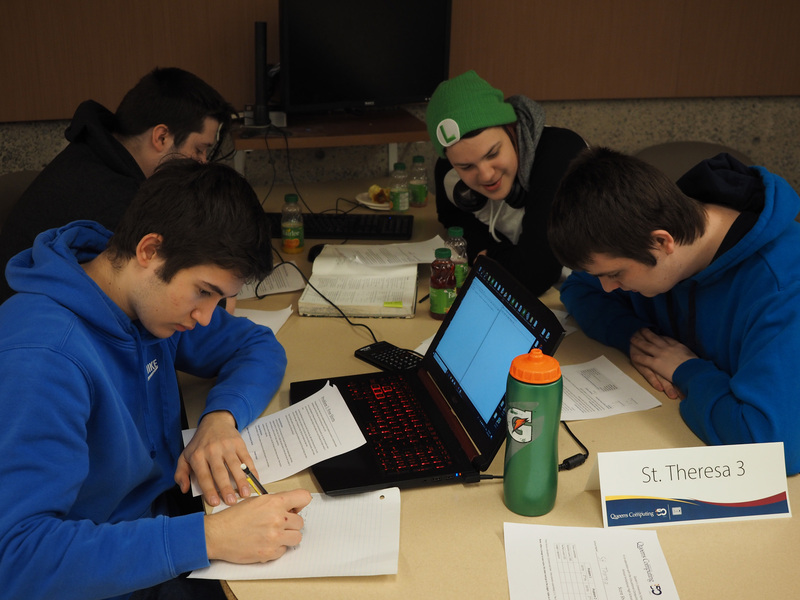 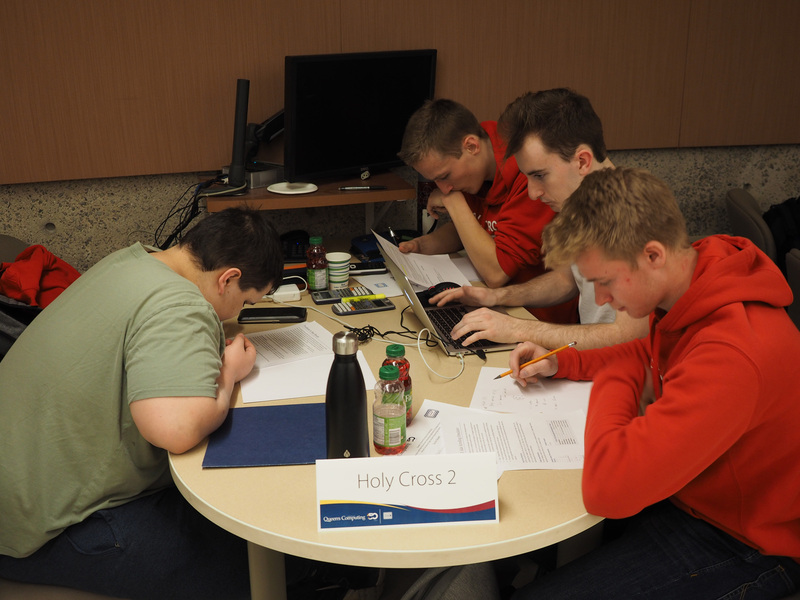 In the end, Brockville Collegiate Institute’s Team 2 edged out Bayridge Secondary School’s team 3 to take first place. 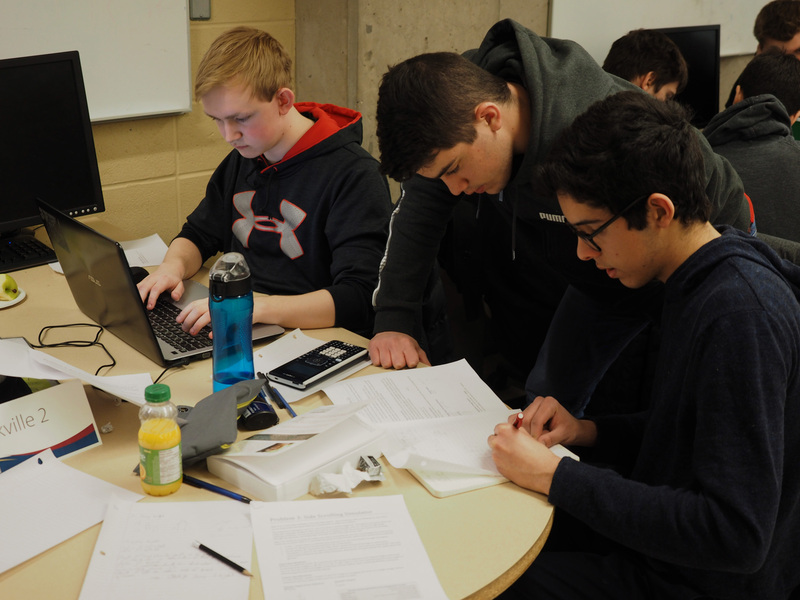 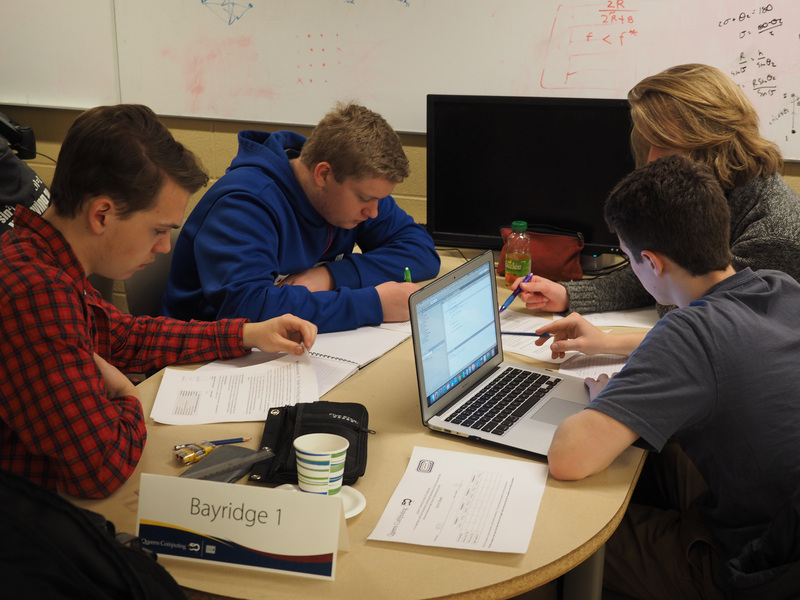 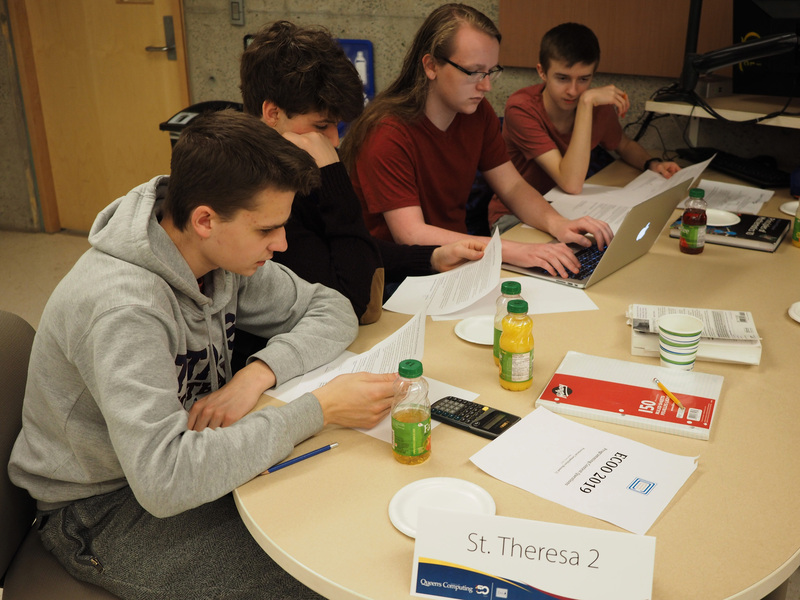 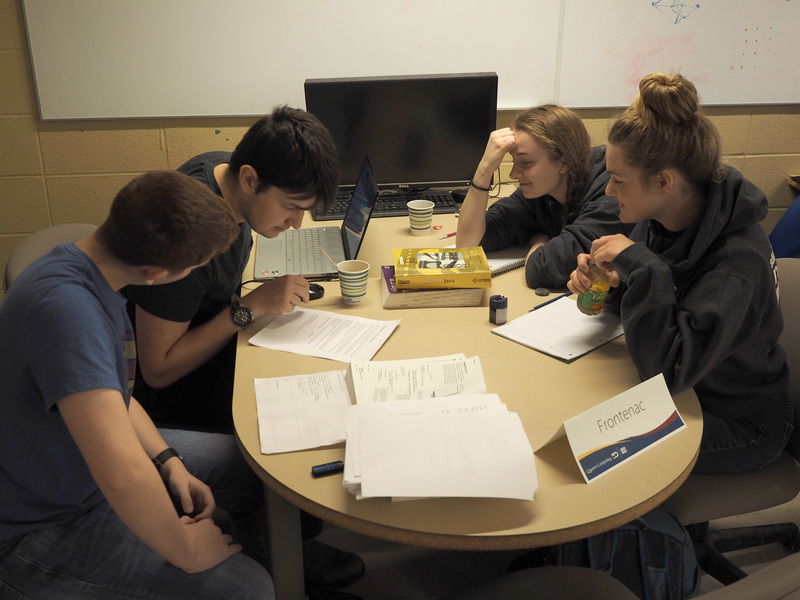 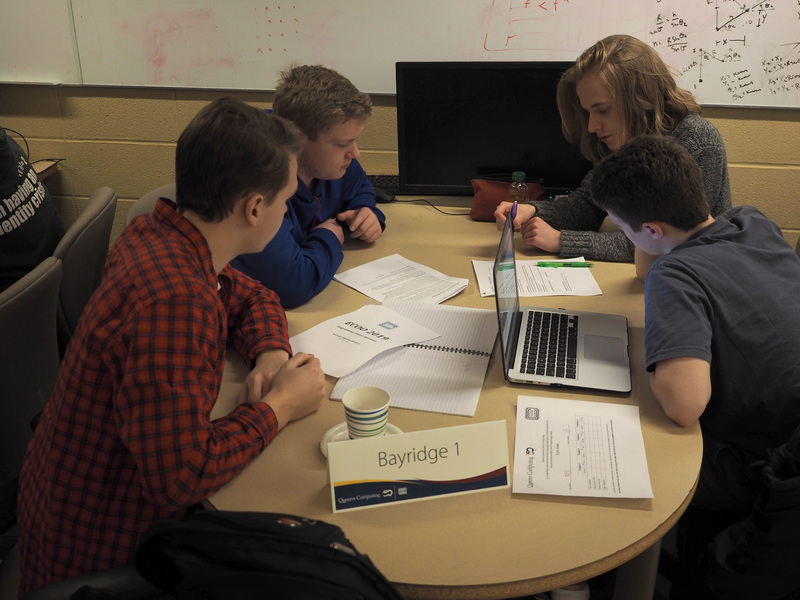 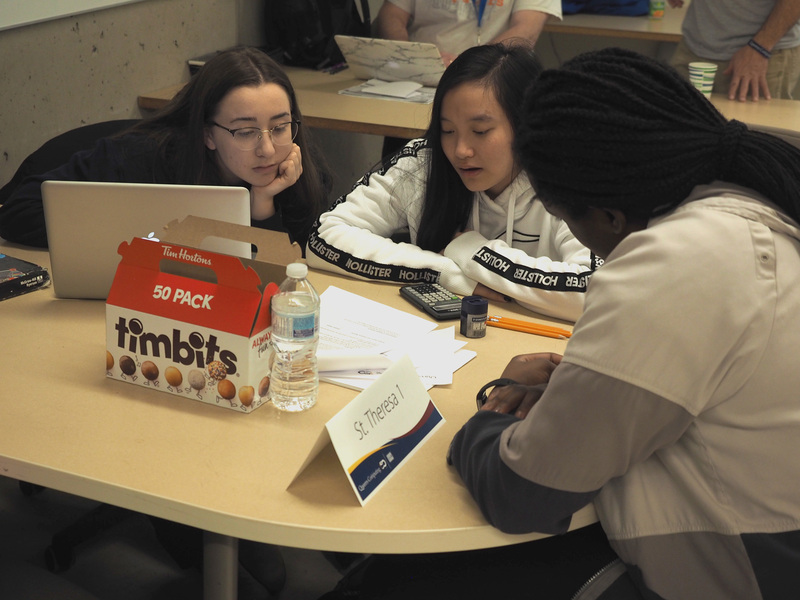 They and other top teams from their respective school board’s will move on to the Eastern Regional Contest, hosted once again here at Queen’s on April 27th. 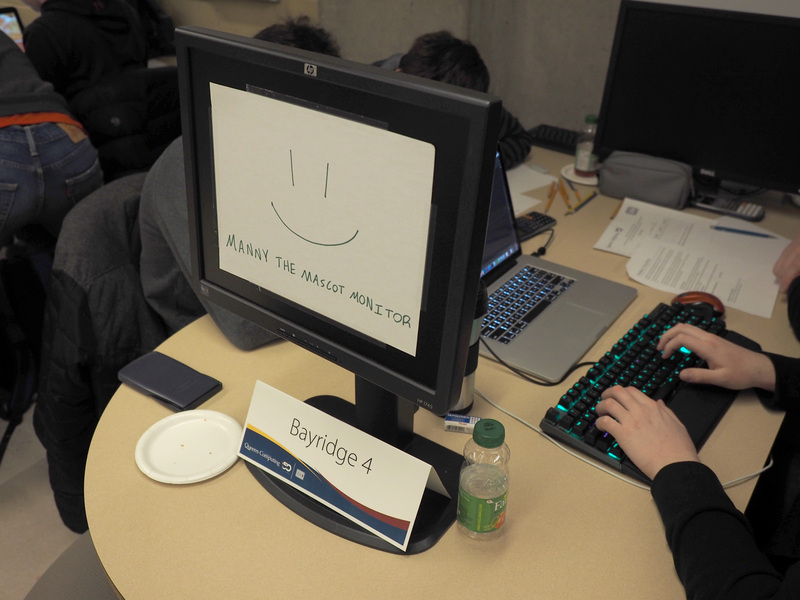 Congratulations, and good luck to those teams! 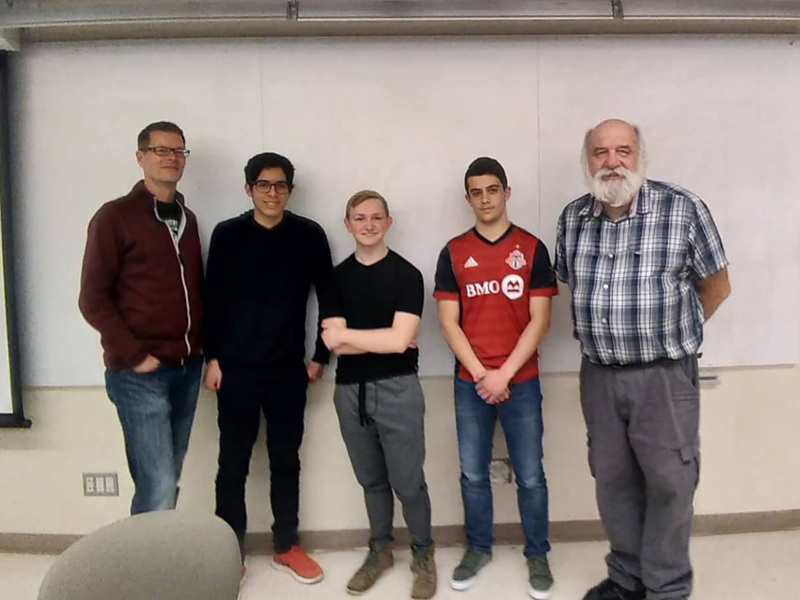 Thanks and well done to contest organizer, Richard Linley, and to Aaron Visser, Doug Martin, Erin Gunsinger, Carly Napier, and Tom Bradshaw for their help.